Fighting the same wars over the same pieces of territory for centuries tends to get tiresome and old, making it necessary to seek out new regions to settle and conquer…and repeat the ways of the old world. Europa Universalis IV: Conquest of Paradise is the first expansion pack focused on the exploration and colonization of North and South America. Conquest of Paradise contains several new features and overhauls to certain mechanics to the main game. 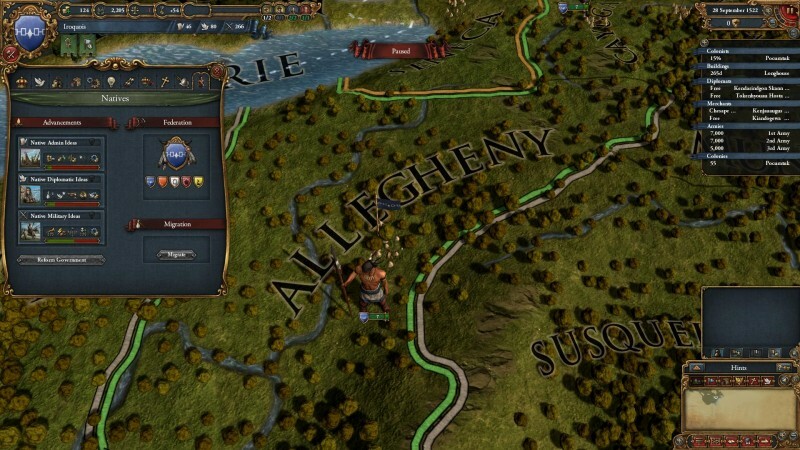 These changes include a new randomized New World option; a new colonial relationship system–which emphasizes the links between mother country and colonial subjects–and a revamp of Native American gameplay mechanics, particularly native faction pacing and realism. One of the major changes introduced is the ability to establish colonial nations as a mother nation as well as playing as the colonial factions themselves. Players may also declare independence as colonists and conversely, mother countries have the ability to release colonial subjects. Given the new dynamics between colonist and colonizer, it provides a new layer of complexity in decision making to the game. Another welcome overhaul is the gameplay for the native tribes in the New World. Players are now able to form federations with other tribes to counterbalance against other native aggressors and European colonists, increasing the possibility of survival. Additionally, the expansion adds more tribal factions to play, which allows for a more complete experience in the New World. 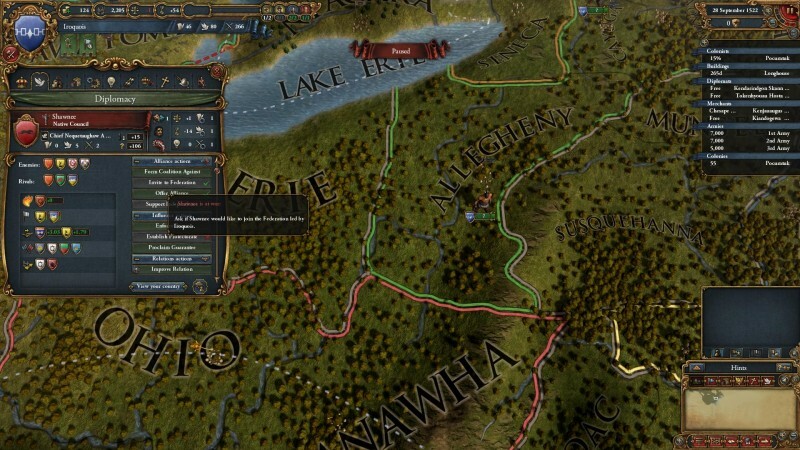 An interesting feature to note while playing as the Native American factions is the ability to migrate your tribe from your original starting position to other uninhabited areas of the map. The last of these new features is the ability to randomize the New World portion of the map with each playthrough, a series first. With this nifty feature, the map of North and South America, including terrain, province shapes, environments, and tribal placements are randomly generated, making each game a unique experience. Although some of the tribal placements can be odd at times, especially for those familiar with Native American history, the randomization offers high replayability to an already solid game. All in all, Conquest of Paradise feels more like an add-on rather than a completely separate expansion. Although it introduces some nifty new features and gameplay tweaks that help to enhance the overall experience of EU IV, our major gripe with Conquest of Paradise is simply the 15 dollar price tag. Although we like what we have seen, it is recommended that you wait for the inevitable bundle sale.